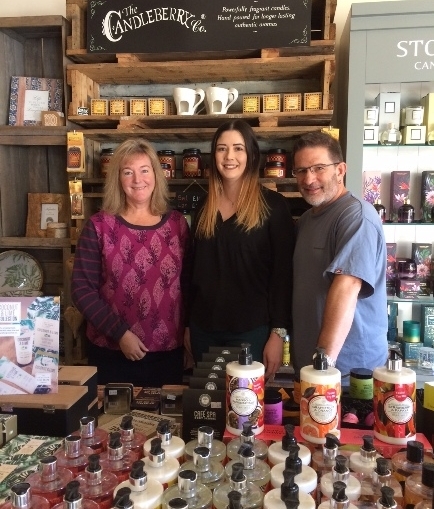 Entrepreneurs Lindsay and George Lonchar are expanding their independent food and gift retail business into a prime Sheffield shopping spot with help from Wake Smith Solicitors. Lindsay and George, who currently run The Cabin Pancake and Waffle House on Fitzwilliam Street, have taken an eight year lease on new 1,300 sq ft premises on the newly developed Moor in Sheffield. The entrepreneurial duo, whose backgrounds are in charity and education fields, are now putting the finishing touches to their new Wildwood Artisan Gift and Coffee Shop, which will seat 30 customers and employ seven staff serving delicious salads, sandwiches, breakfast burritos and home made cakes. Lindsay said: “For the last two years, our passion for US and the Canadian Rockies has been satisfied by our current business The Cabin which serves pancakes and waffles and which is like entering a log cabin in the middle of Sheffield. “But we knew we wanted to open something else and Wildwood will be very different. It will be a forest themed cafe and gift shop offering the experience of entering a tranquil, forest vibe which will feel like you are eating outside. “I wanted to do wow food – healthy salads and sandwiches and home made cakes, but food you can eat everyday and also have a lovely artisan gift shop with quality gifts and homeware. We want it to be a very special place – the whole environment, experience and food like you have stepped into an oasis. “Although they are close our two cafes offer very different experiences. The idea seemed weird at first, but it now makes sense. We are offering a choice – they offer totally different products and environments and are targeted at different audiences – the treat market and the daily, healthy food lover. Solicitors Wake Smith advised on the lease for Wildwood which will officially open today. Laura Sanderson, solicitor in Wake Smith’s commercial property division, said: “We were really pleased to be able to advise on the lease requirements. Wildwood will be offering ten per cent off the menu for two weeks from today.